Recently, I was made to realize that even advanced learners, or even very advanced lovers of English couldn't "discriminate" between two tricky words, especially as they happen to be expressed by the same word in some foreign languages. The concepts are different and we should distinguish « experience » and « experiment ». These two different words exist as nouns (an experience/ an experiment) and as verbs (to experience/ to experiment) expressing two different concepts. We'll make sure you understand the difference between the two ideas. I) An EXPERIMENT/ To EXPERIMENT. 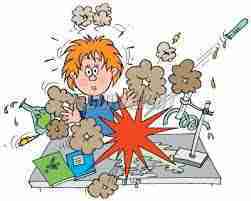 We run (perform/ conduct/ carry out/ do) experiments to test a phenomenon when the knowledge we have of it isn't perfect. The result of this "test" normally improves that knowledge and brings more information. 1. It's a test, a trial, or tentative procedure in order to discover something unknown or to test a principle, a supposition. - I'm against all sorts of experiments on living animals. This is a horribly cruel practice. - Her teaching experiment was such a success that she has decided to apply for a position in this famous Academy. 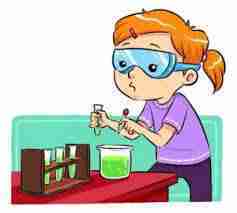 2) When it's a transitive verb, to experiment means “to try/ to test” a substance so as to gather complementary information and to try and discover more about a subject. This verb cannot be used with feelings. - Scientists have experimented with synthetic liquids and substances in which vegetables can grow artificially. - Yesterday, I had a very rewarding experience: I was introduced to our CEO and was congratulated for my good work. - It can also be an observation, a meeting, or an action which is enriching someone's knowledge. - Tom had his first work experience when he was given an internship in his father's company. - My meeting with this famous scientist was the decisive experience in the choice of my career. - When he was sailing to the island, he experienced nausea and sea sickness. 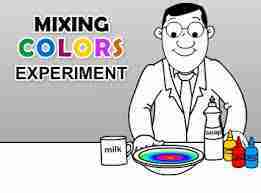 To sum up briefly, undertaking an experiment will give experience whereas when dealing with Sciences and knowledge, the word experiment must be used. Thus, running an experiment brings you invaluable experience. I hope you'll no longer mistake those two concepts and those two words. Now, go for the test with courage! 1. You should have experimenthave experienceexperimentexperienceI don't know on the same product, but with different solvents. I'm sure you'd find the right one. 2. The experimentsexperienceexperimentexperiencesI don't know has shown that the product cannot be approved yet. We'll have to pursue our research to meet the requirements. 3. I went skiing with a whole class of 35 students. It was an unforgettable experiencingexperienceexperimentexperimentingI don't know , but I'm not sure I'll do it again. 4. The effects of this lotion are not satisfactory. We'll have to go on experiencingexperimentexperimentingexperienceI don't know so as to improve it. 5. He should be believed and really considered as a man of experiencedexperienceexperimentedexperimentI don't know . He is wisdom itself. 6. Decades ago, in the country, 'old-wives' will experiencewill experimentexperiencedexperimentedI don't know with garlic as a remedy for the common cold. 7. Young man, I do hope you'll learn from experiencedexperimentexperienceexperimentingI don't know and will never act so cowardly again! 8. The prototype isn't solid enough... Why don't you experimentingexperiencingexperimentexperienceI don't know with different glues? 9. This student has little experiencingexperimentingexperimentexperienceI don't know with research. He's still an undergraduate. 10. Based on personal experimentingexperiencedexperienceexperimentI don't know , I'd say that he has behaved too badly to deserve our confidence. 11. The pharmaceutical company both experiencingexperiencedexperimentedexperimentingI don't know on placebo products and on the real medicine. 12. Although they belonged to the same team, every player had their unique experimentexperimentedexperiencedexperienceI don't know of the championship.